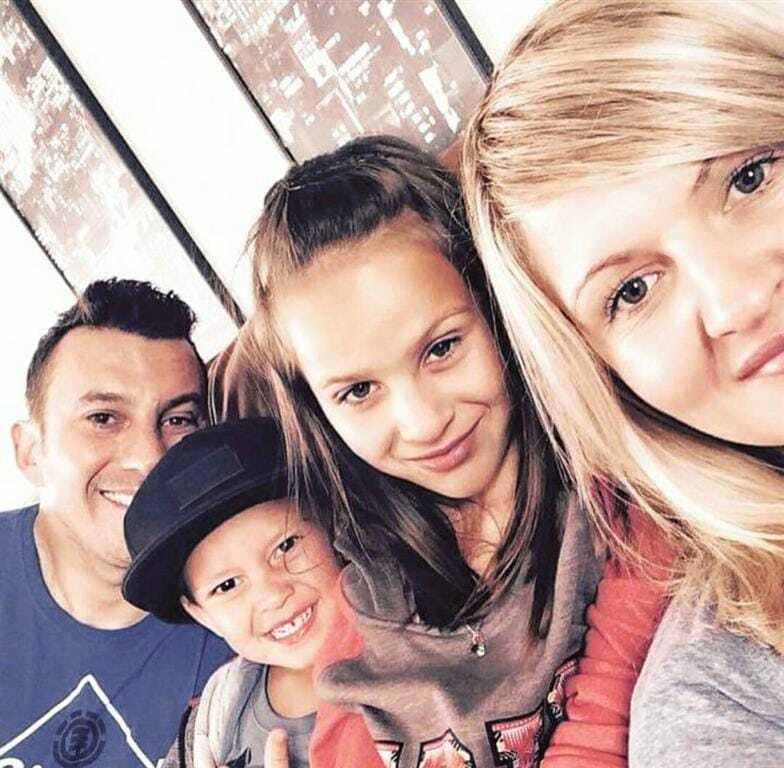 The PE surfing & motorbike communities lost one of their favourite sons earlier this year in a tragic bike accident. Patrick Maguire was a familiar and friendly face in the line-up’s round the Bay, before moving over to the UK a coupla years ago. Pat’s wife, Bridgette, and their children have arrived back in Port Elizabeth to scatter his ashes at sea. 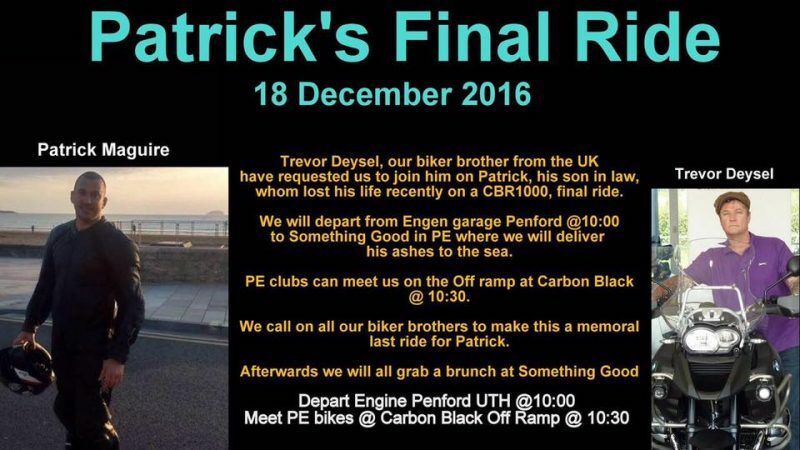 There will be a memorial bike run and paddle out on Sunday 18 Dec, to say goodbye to a special guy. 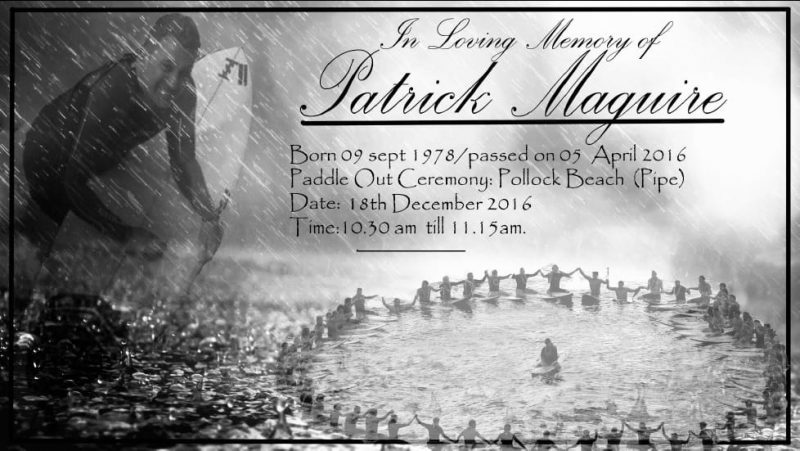 The paddle out ceremony will be at Pipe at 10h30, where Pat’s ashes will be scattered – forever to ride the waves at one of his favourite surf spots. His mate’s described Pat as a “one-in-a-million” friend. Sebastian Clarke shares his memories of Pat: “Patrick was huge personality, fearless but with loads of compassion for his wife, kids and his surfing mates. He had a heart of gold and was always ready to assist, always showing loads of empathy to any of his mates situations. He believed in fairness and nothing in-between. He was one of those surfer buddies whose his friendship meant you braai with him, you come to his house and he comes to your house. It was never about the friendship stopping at the sand and you see each other the next-time in the water or at the beach. He was the real deal! Sebastian also fondly remembers Pat’s brown Mazda Midge always being parked at the Blackbottoms carpark back in the day – “That Mazda really suffered under Patrick! Even though it had under 60000k’s on the clock the handbrake didn’t engage!” It was no wonder why – Pat’s need for speed was no secret. Patrick loved Millers, Avalanche and Tubes, and kept up the surf stoke even after moving to England. 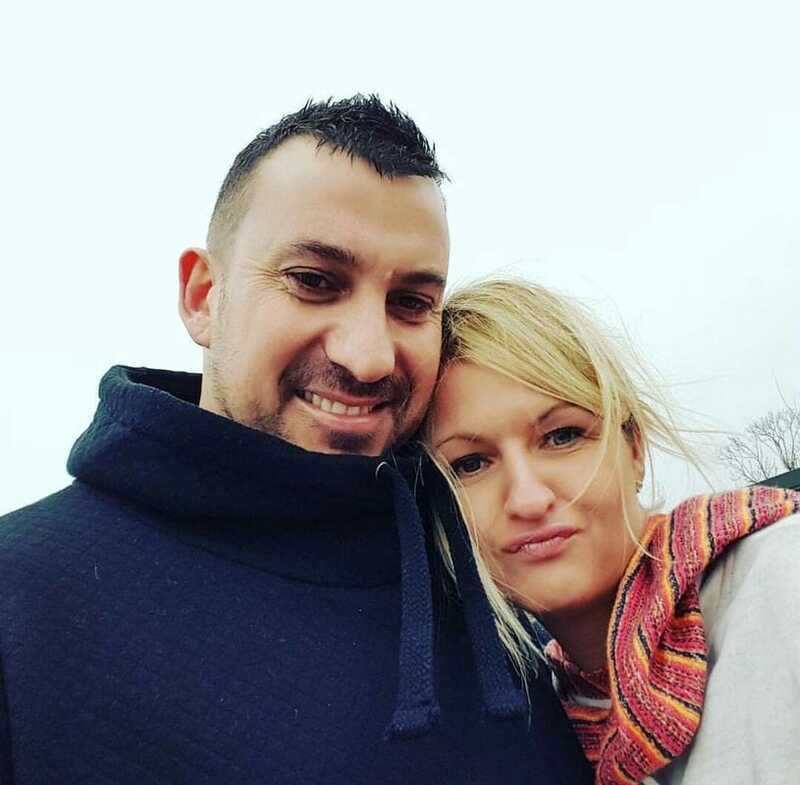 Ridwaan recalls their surf trip whilst over in the UK, to Newquay & Pump House – “His breakfast preference at 6am in the morning was iced ring doughnuts or eclair’s “to takes off the edge off”! Jorg Brand remembers Patrick as an adventurous , no-nonsense kind of a guy who would always go to the extreme with whatever he was doing. An an honest, generous and caring man and would always be there for you no matter what. Johnny Bakker will be saying a few words on the beach before everyone paddles out to say their goodbye’s and give Pat the send-off he deserves, and catch some waves in his honour.